Dr. Steffen, a leading proponent of the Anthropocene – a proposed epoch dating from the beginnings of significant human impact on earth’s geology and ecosystems – will be a keynote speaker at the IUFRO 125th Anniversary Congress in Freiburg. Dr. Steffen, along with Nobel laureate Paul Crutzen and other scientists, contends that the Holocene, the 10,000-year geological epoch since the last ice age, in which the earth’s environment has been unusually stable, is being, or has already been, supplanted by an epoch in which human intervention has become a – and perhaps “the” – major driver of environmental change. Since the mid-20th century, carbon dioxide emissions, sea level rise, the mass extinction of species around the world and the transformation of land by deforestation and development have effectively ended the Holocene and ushered in the Anthropocene, they say. “The Earth System is now in a rapidly-changing, highly transient phase in which the end point is not known, and cannot be predicted. 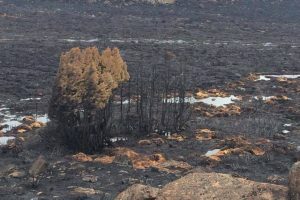 This trajectory, driven primarily by human activities, is exceptionally rapid in a long-term perspective, and this has important implications for forests,” he said. Dr. Steffen is Emeritus Professor at the Fenner School of Environment and Society, Australian National University. He is also a Councillor with the Independent Climate Council of Australia, has served as executive director of the ANU Climate Change Institute and also as executive director of the Stockholm-based International Geosphere-Biosphere Programme (IGBP). He holds a doctorate in chemistry from the University of Florida, honorary doctorates from Stockholm University and the University of Canberra and an honorary professorship in the Department of Geography and Geology, Copenhagen University. 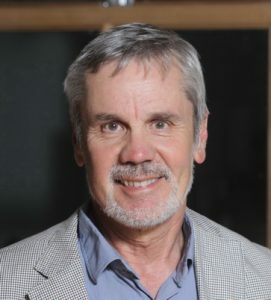 He has given numerous presentations on climate change, global change and Earth System science to political and business leaders as well as community groups. In his address, entitled: The Earth System, the Anthropocene and the world’s forests, he will explore the nature of the Anthropocene and the possible future trajectories that it might take. The focus will then shift to the implications of the Anthropocene for the future of the world’s forests. “We are already seeing significant changes to the world’s forests from a combination of direct and indirect human forcings (factors that drive or force a climate or an ecosystem to change),” he added. “These include, for example, drought and fires in the Amazon rainforest and extensive dieback in boreal forests. These changes are important not only for the ecosystem services that are derived from these and other forests, but also for the role that these forests play in the functioning of the Earth System as a whole,” Dr. Steffen said. the potential role of forests as carbon sinks as well as the basis for so-called “negative emission technologies” such as BECCS (BioEnergy with Carbon Capture and Storage). Speaking of the elements his address will cover, he said: “I think the magnitude and rate of change that the Earth System is now undergoing may surprise some. And I don’t think many researchers and policymakers understand the concept of the Earth as a single, complex system, and therefore the implications of the human pressures that are now being put on the system. 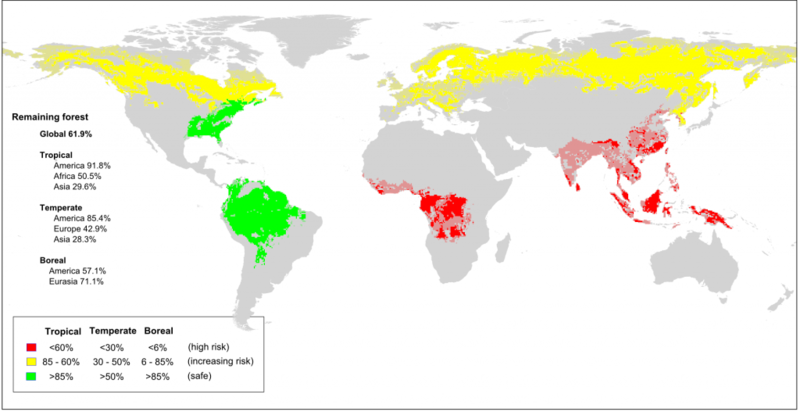 Caption: Area of forest cover remaining in the world’s major forest biomes compared to the potential forest cover, color-coded to show the position of the control variable (area of forest land remaining) with respect to the boundary. Areas not covered by major forest biomes are shown in grey. Area of forest cover remaining in the world’s major forest biomes compared to the potential forest cover, color-coded to show the position of the control variable (area of forest land remaining) with respect to the boundary. Areas not covered by major forest biomes are shown in grey. Dr. Steffen added that he suspects there will be a fair bit of controversy around his perspective on global change which, he said, mirrors the debate and discussion around the concept of the Anthropocene itself. “Here’s the most important part,” Dr. Steffen said. “We are now in this proposed new geological epoch for planet Earth – the Anthropocene – but we don’t yet know where its trajectory will lead. The type of Earth our children and grandchildren will inherent could well depend on decisions made in the next decade or two. “I hope my talk gives a novel perspective on what is often called ‘global environmental change’ or ‘climate change’ and triggers a broader discussion of the need for systems thinking in dealing with the challenges of the 21st century,” he said.